...you don't want to miss. 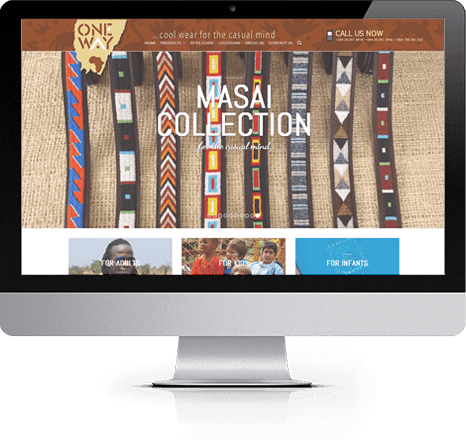 We are professionals for attractive, responsive and stylish web design and development in Kenya. We offer creative web design using the latest technologies. We host your websites on premier web servers in the cloud. We register your international or Kenyan domain. We offer email hosting with up to unlimited disk space. Our Customer Service doesn’t end with the launch of your site. We offer free and tailor-made maintenance services. We have been developing websites and software since 2001. That counts for something, doesn’t it? What we tell you and what you read in our proposal to you is what you get. Promised. Unlike other websites, ours are secured against spammers, hackers and malicious software ‘out of the box’. I am so thrilled with the redesign of our website – it is exactly as I wanted it to look. I am also impressed with the speed and responsiveness with which you carried out the job. Thank you artKenya for a job well done!